What is the Average Increase in Value of My Home After a Pool Removal? For many new homeowners, buying a house with a pool feels like a dream come true. After a few years, however, it may be time to remove the pool — or to simply move to a new house. Before moving, though, it may be worth your while to remove that pool after all. In many instances, doing so can increase the value of your home, providing your family with more money that can be used to increase your house buying budget or make renovations that help the new house feel like a home. Here’s what you need to know about how pool removal services from a professional pool removal contractor and how they can improve the value of your home before you put it on the market. There are two types of pool removals. The first is a partial removal, which can be completed only on certain types of pools. This process involves draining the pool, then drilling holes into the bottom for proper drainage. Then, the top 18 inches of the pool will be demolished. The resulting pieces of debris are used to begin filling in the pool, and fill dirt is used for the remainder of the fill process. The contents of the pool cavity are then compacted and covered with soil or sod, and the partial pool removal is complete. 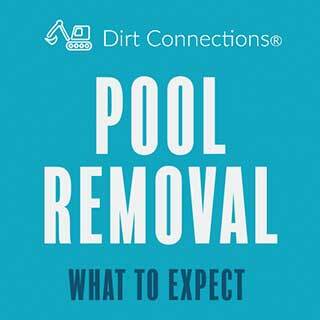 This type of pool removal typically takes between two and five days to complete. After the removal, homeowners can place small sheds, gardens, patios, and other features on the space. As the name suggests, a full pool removal involves removing the entire pool structure. This type of removal is necessary for pools that contain steel components but can be completed on any type of pool. During a full pool removal, the entirety of the pool is demolished, including the shell. All of the fragments are removed, leaving a hole made solely of dirt in the ground. This cavity is filled in with fill dirt, compacted, and covered. While full pool removals typically take longer — between five and seven days — most contractors recommend them for all pool removal services because they present less risk of leaking and other issues later on. Dwelling areas, such as additions to a home or separate apartments, can only be placed on areas that have had a full pool removal, rather than a partial removal, because the ground is more secure. Most people believe that removing a pool decreases the value of their home. In reality, removing the pool could improve their home’s value. If the pool takes up a significant portion of your backyard, is more than 30 years old, needs repairs, and is one of the only ones in the neighborhood, it could be damaging your home value. A pool in an area that experiences only a few months of swimming weather can also detract from the value. Even in the best conditions, a house with a pool may only have a value 7 percent higher than similar homes without one when it is sold. Removing a pool from an otherwise desirable home, meanwhile, could increase the value of a home by nearly $10,000 in the right circumstances. Thanks to this increase, many homeowners choose to remove their pools before selling their home. Removing your pool can also save you time. Most pool owners are obligated to complete weekly maintenance tasks, such as removing leaves and other debris from the pool, checking the chemical balance, and ensuring that all machinery is working properly. While the amount of time spent each week may not seem like much, consistently scheduling that time can be a hassle, and pool owners will have more intensive maintenance tasks on their hands if they are not diligently setting aside that time each week. Hiring a pool cleaning company to do the same work can end up costing even more money for the pool’s maintenance. Removing the pool eliminates the time spent maintaining it, as well as the potential additional expense. One of the biggest draws for pool removal services is the money saved afterwards. Chemicals alone can cost homeowners up to $800 per year. A pool cleaning service could cost about $120 per month, adding more expense to your annual pool budget if you choose to outsource the task. Other costs, such as filters, vacuums, resurfacing services, and opening and closing services at the beginning and end of the swimming season can all add up quickly and cost thousands more. Overall, financial planners say to expect annual maintenance costs to be about 10 percent to 15 percent of the initial cost of the pool’s installation. Without the pool, homeowners save a significant amount of money each year for other purposes. Finally, removing a pool can offer extra peace of mind. Insurance companies consider pools a liability and charge higher homeowners insurance premiums for homes with pools. 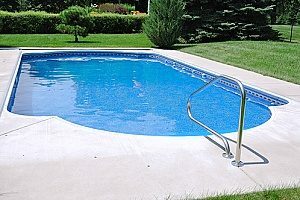 If left unsecured, pools can cause injury to those who slip on wet surfaces nearby, as well as children or pets who may accidentally fall in or take an unsupervised swim. By removing your pool, you also remove the chances of being held responsible for injuries and help prevent the chance of a disaster occurring in your home. This extra security can also be a draw to home buyers with small children, increasing the attractiveness of your home. Speak to a pool removal contractor for more information and to schedule your pool removal services. 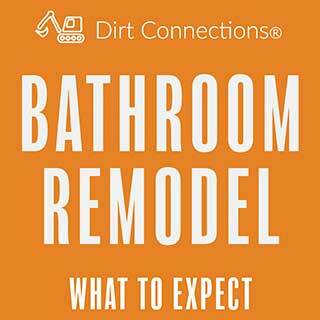 Dirt Connections’ staff has years of experience in helping homeowners in the Maryland and Northern Virginia areas successfully transform their backyards. 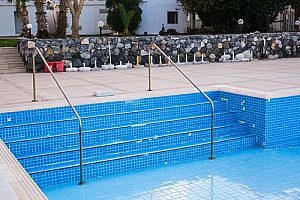 The company offers full and partial pool removals and can advise on the best course of action for your pool after conducting a free consultation and estimate. 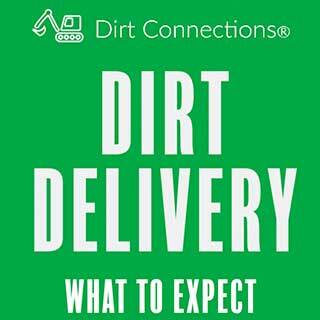 Dirt Connections prides itself on completing work in a clean and timely manner, giving you more time to enjoy your new backyard or head straight to market with your newly improved home value.